Duggz Build? Whats so good about Duggz? Ummm, theres a few things, but there is a reason its number 9 on the list too. 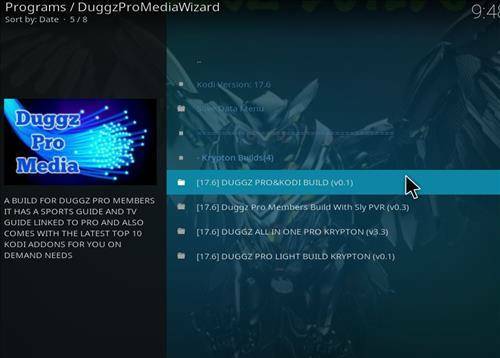 The Duggz Build is a good Kodi build that comes with all the regular addons one could expect with today’s Kodi Builds. But the one thing they have done differently is adapt there build to larger screens. Preferably 65″ inches and up. What does this mean for a larger tv owner. 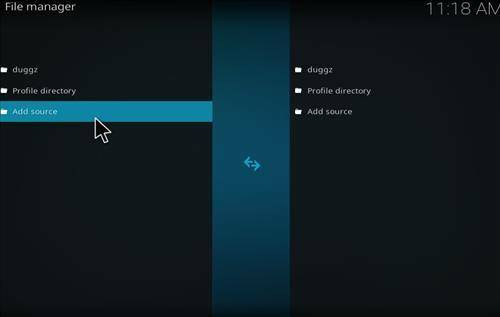 It basically means that the screen won’t look skewed when navigating throughout menu’s. Is a big deal, I don’t think so, but I don’t own a 80″ inch Tv neither. So who am I to say. As per the update basis, these guys keep on on there stuff. 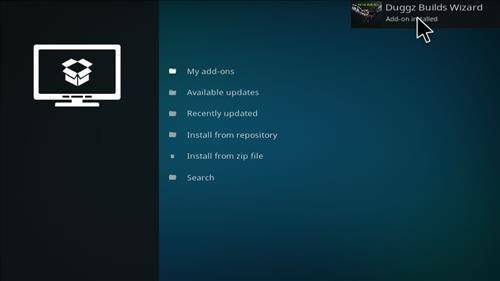 You’ll notice that they keep there builds up to date with all the latest kodi addons. 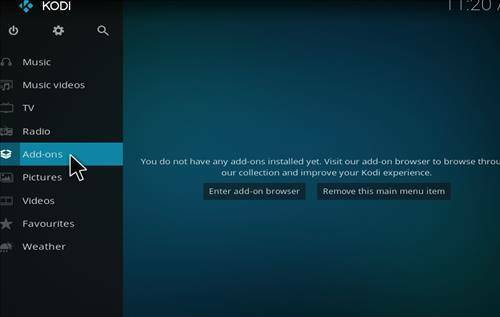 I’m going to be honest, there is nothing worst when your navigating through your Android Box and all the Kodi Addons are out of date and you keep getting errors when loading streams. GRRRRR Right? Well you won’t have that issue here. 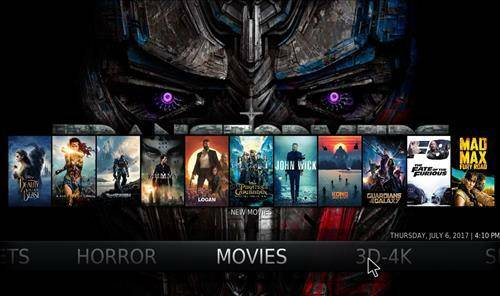 When it comes to Kodi Addons, you will find great ones like Nemisis, Covenant, Real Movies, Sports World, Golden Cinema and a whole pile more. Running it on an older Android Box is also suffice too, as I found this build ran decently light on the M8S. Yeah I know right, this guy owns an M8S. That guys so old. Lol. Anyways, I think I have written enough about the Duggz Build. 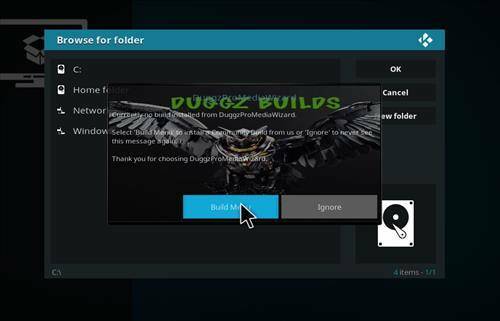 I have put together a little tutorial on how to install the duggz build with screenshots. I may do a youtube video has well if I see the need to. Anyways, enough with the blogging, lets get at her. 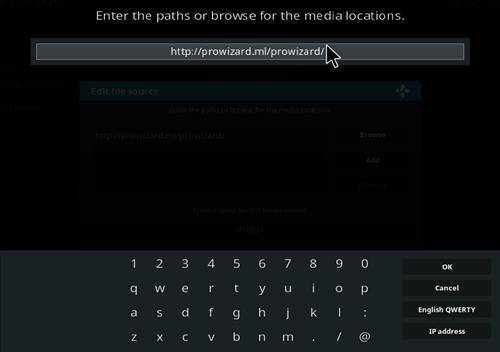 You should always start out with a fresh kodi build, it just makes it easier with less errors from other builds. 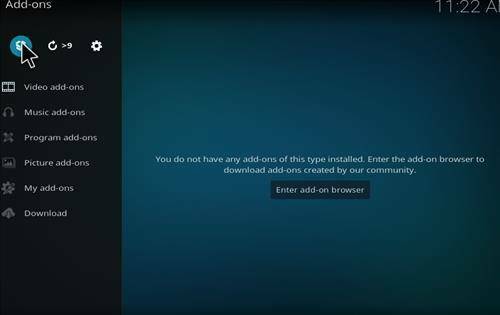 You can download a fresh kodi build here. 3. Click on Add Source. 4. Next click on None. 5. Enter this URL exactly has shown. Double check to make sure. 6. Name it Duggz. But put a period at the beginning like below. 7. Yours should look just like this. 8. 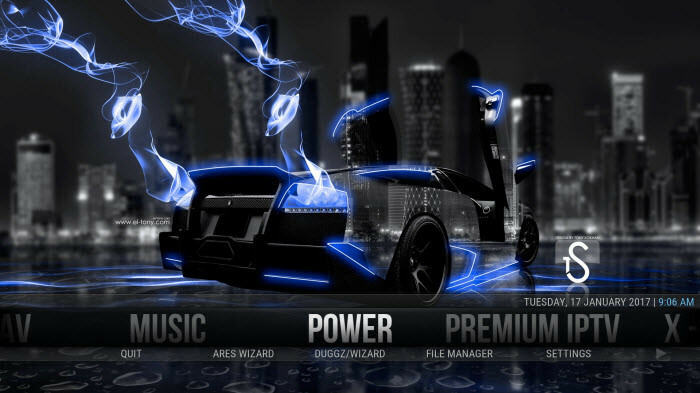 From the Main Menu click on Addons. 9. 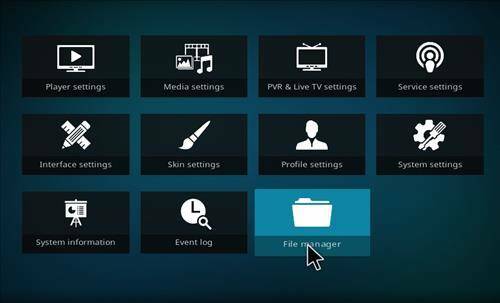 Next Click on the Package Installer in the Top Left Corner. 10. 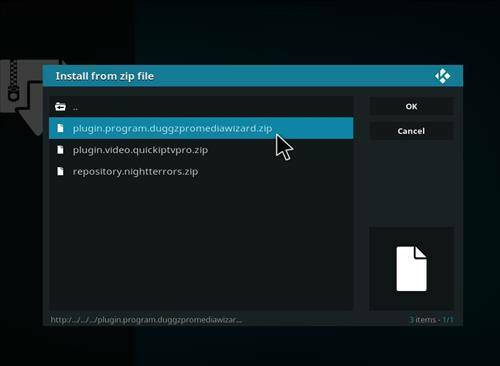 Click on Install from Zip File. 13. 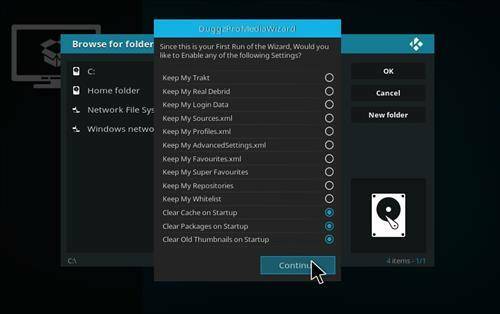 Duggz Build Wizard Installed will Appear in the Top Right Corner. 14. Next click on Continue. 15. Click on the Build Menu. 16. 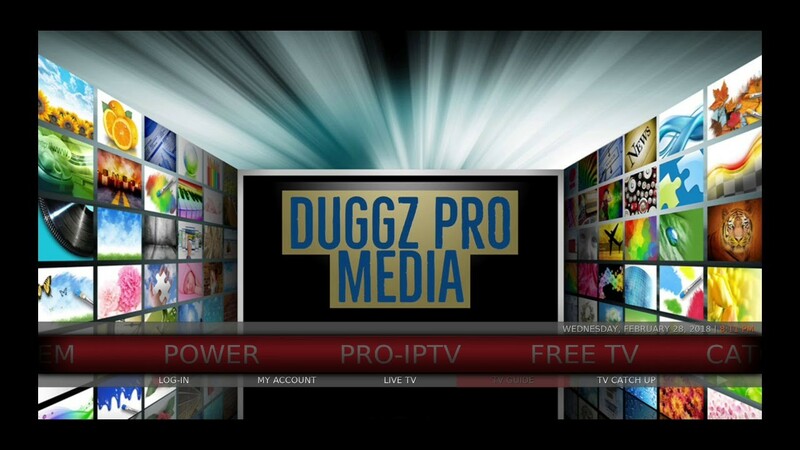 Click on Duggz Pro Media Build. 18. Next click on Continue. 19. 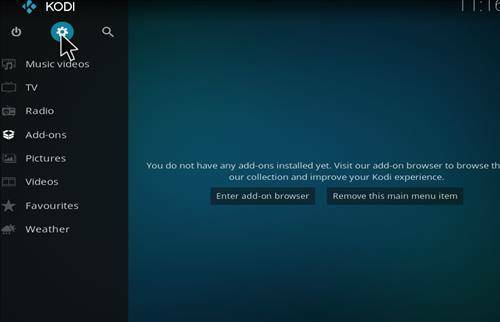 Allow it to Download and Install. Be patient. 20. Finally click on Force Close. BAMMMM! 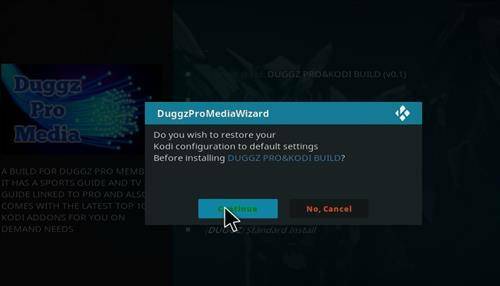 Your DONE with the Duggz Build Install! There you have it. 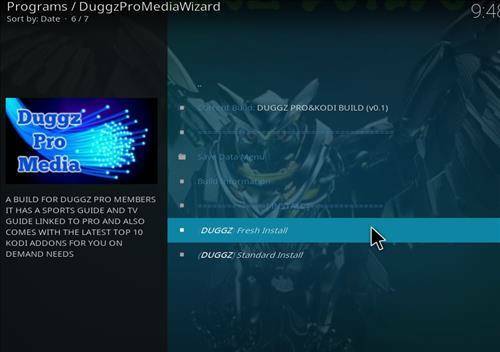 You have the Duggz Build installed. But your still here reading? Id be navigating my way through them killer screen menus. Haha. 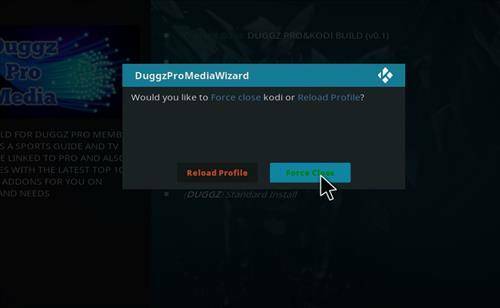 Hopefully you enjoyed this Installation Guide for the Kodi Duggz Build. 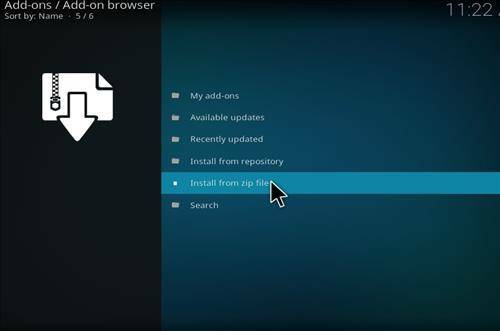 If you do have any problems, with it or if you find that the repository URL is gone bad. Let me know in the comment section below, and I’ll surely do my best to keep it updated for you guys. Anyways, Thanks for reading, and Enjoy the New Build. You can also check other great builds with this post here. Kinda helps ya stay up to date with the current builds. 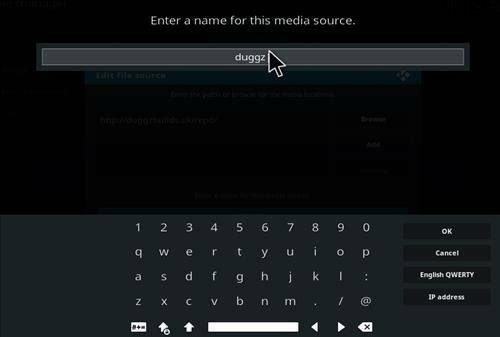 Learn how to install the Duggz Build on Kodi Krypton 17.6 with our easy step guide. 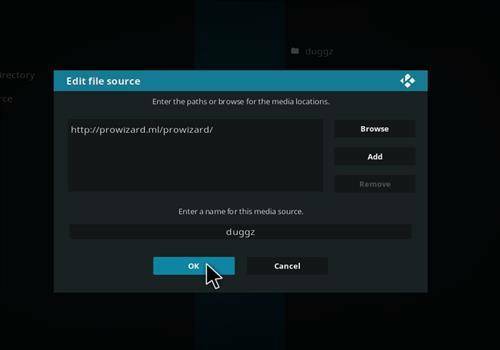 Get the best tips and tricks when installing any Kodi Build. 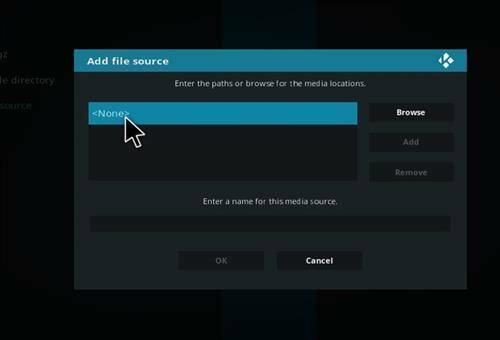 BestBox is your Number One Source for Kodi Builds.